Find the right lid, right now! 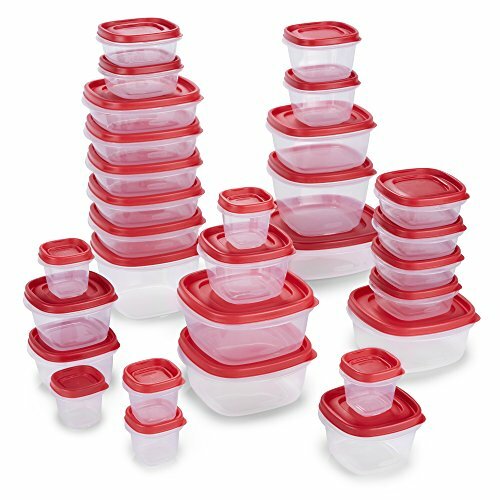 This Rubbermaid 60-Piece Easy Find Lids food storage container set features lids that snap to the container bases and to other lids, so they're always at your fingertips. These food containers stack to give you more space in the fridge, and nest for cupboard storage. Organizing your kitchen just got easier with Rubbermaid Easy Find Lids.